<!-black-> The late David Buttram was a literature evangelist. He was Assemblies of God in his faith and teaching. He was one of the best bible teachers and theologians that I have read. Most of his teaching was with his own ministry at Gospel Tract Society (GTS). It is my great delight and with utmost respect that I present some of his teachings and writings obtained mostly from his gospel tracts, poems, and his articles in the GTS newsletters. I have placed appropriate titles to his "from my heart" and "David Buttram answers your questions" articles. Here then are some of his writings. <!-black-> "In the telling of the Christmas story, there is one person about whom little is said. In Christmas pageants around the world this figure usually has a position in the background and even the Bible tells us little of Joseph, the earthly father of Jesus. The first came as the engagement, which was usually arranged by the parents, often when the children were quite young. Later, at a determined time, the couple either agreed or disagreed with their parents' choice. If they loved each other and agreed with the engagement, the betrothal took place and was as binding as the actual marriage itself and required a legal divorce to break. <!-black-> The betrothal lasted for one year after which the couple would wed and consummate their union. <!-black-> During her betrothal period, Mary conceived of the Holy Spirit, placing Joseph in a trying situation. On one hand, Joseph was torn by the seeming reality that his intended wife had committed fornication while betrothed to him. For that sin the Jewish law required that the guilty party be stoned to death. On the other hand, he was so deeply in love with Mary that he did not want to see her hurt or disgraced. The only likely remedy was to quietly and secretly divorce her. <!-black-> Faced with the terrible reality that his intended wife-to-be was pregnant, and still in love with her, Joseph got alone and "thought on these things"
(Matthew 1:20). Once alone before God, no doubt Joseph prayed and sought the face of God. <!-black-> It is when a believer gets alone and shares his innermost feelings and thoughts with God that He hears and answers. Joseph's need for guidance and assurance was wonderfully met by God in a dream. An angel appeared in Joseph's dream to comfort his heart and assure him that the Baby in Mary's womb was begotten of the Holy Spirit. <!-black-> The angel addressed Joseph as "son of David," and as a faithful Jew, he knew the Messiah would come from that line. The angel gave him further information about the soon-coming baby: <!-purple-> "And she shall bring forth a son, and thou shalt call his name JESUS: for he shall save his people from their sins"
<!-black-> Joseph's response was immediate - for upon awakening he took Mary as his wife and provided shelter and safety for her and baby Jesus. This humble man who sought and obeyed God was the human tool used to shape and mold the life of young Jesus. <!-black-> How would you or I have responded to Mary's pregnancy? Would our selfish pride have robbed us of God's special gift? What would our reaction have been to an angel in a dream? Could God have used us or would He have had to look elsewhere for a willing vessel? <!-black-> During the next few days as we watch the Christmas scene unfold in a play or pageant, let's take a long look at Joseph and learn from his example of faith and obedience." <!-black-> If you have not already invited Jesus Christ to come to live inside of your heart then click on the above banner if you want to learn how to have a relationship with Jesus Christ and receive spiritual encouragement in your heart and soul. 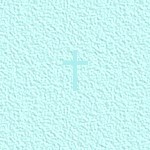 <!-blue->Here are various testimonies that will help you with your faith.